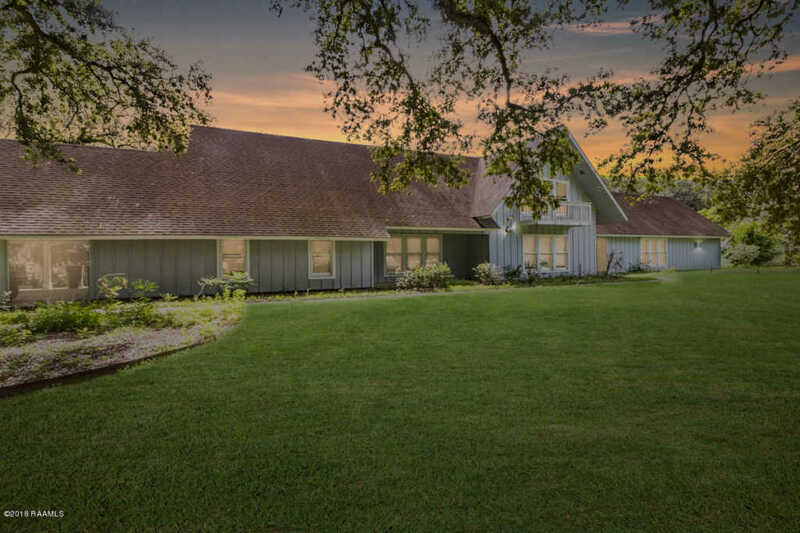 This spectacular custom home nestled along Bayou Teche features astounding views found nowhere else. You'll be picturing yourself retreating here in no time. Enjoy an evening stroll through this rolling property listening to the bayou breeze play through the cattail filled ravine upfront, and the leaves of 50+ historic live oak trees, cypress trees and fruit trees. Continue your tour of the grounds to the barn complete with 2 horse stalls, and huge chicken coop and tractor shed! Finally, arrive at the Teche for your private boat launch and dock. The interior of the home was fully renovated over the past 5 years. Features include Viking appliances, custom Cypress cabinets throughout, exotic granite and quarzite, a beautiful copper farmhouse sink and custom range hood, custom . . .